It was this ever-increasing market demand and AMERICAN Shutters’ pioneering spirit and focus on ongoing product development that prompted this industry leader to design and manufacture a premium, more affordable and improved range of security shutters. AMERICAN Shutters’ new and innovative Security Shutter range offers homeowners the same style and beauty of traditional wooden shutters; the adjustable louvres, the streamlined appearance, smooth operation and custom-fit, but includes the industry-first ‘Gear Tilt’ operation. Hidden in the aluminium framework, the ‘Gear Tilt’ design is unique to AMERICAN Shutters. Besides presenting improved aesthetic shutter contours, the ‘Gear Tilt’ system notably nullifies the need for unsightly tilt bars to allow unobstructed views. The new system has undergone stringent tests and results prove consistent, efficient, smooth and problem-free operation over an equivalent period of ten years’ of daily opening and closing of the louvres. 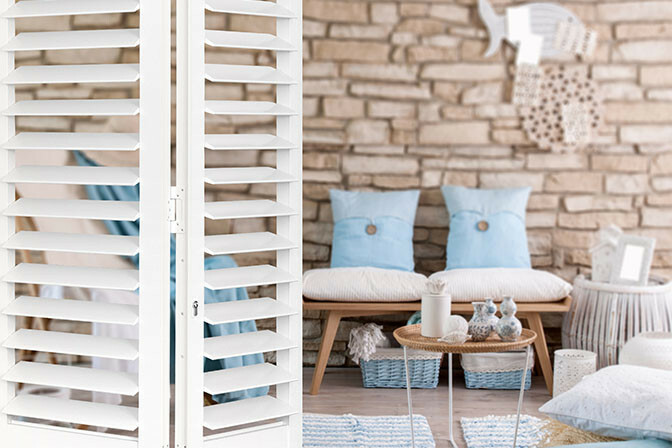 Although designed for beauty, these shutters are built for security, and boast some impressive safety features. 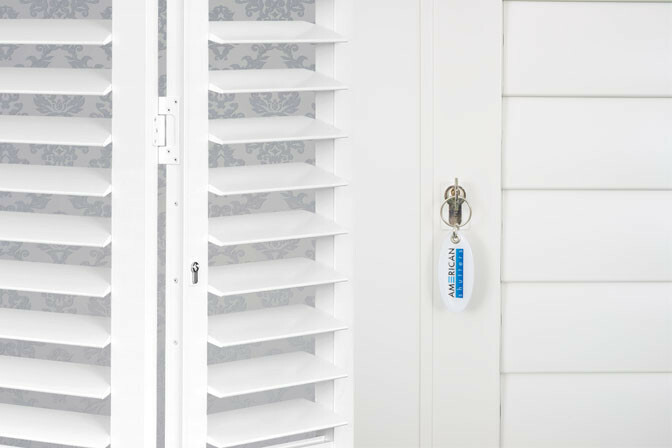 The aluminium security shutters are fully secured with a key lock which operates a steel bolt locking the top and bottom of the shutter panel simultaneously. “The louvres of the ‘Gear Tilt’ system are secured from both sides into the shutter framework to improve security and strength of construction” says Duncan. 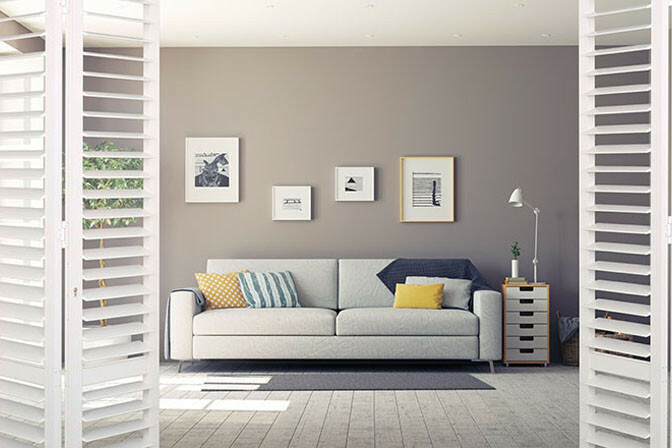 The shutters are suitable for interior as well as exterior use and are manufactured from powder coated architectural grade aluminium with stainless steel components to ensure longevity, and to guard against corrosion. Additional improved design elements such as overlapping frame details and ultra-close-fitting louvres deliver excellent privacy and light-block, and the finish options from Satin White to custom colour powder coating put AMERICAN Shutters’ Security Shutters in a league of their own, and ensure they provide both beauty and brawn.